An ode to a great sandwich... and I do love sandwiches! There are classics and then there are, well, true classics. Some people say the roast beef and ham poboy with "debris" at Mother's is a New Orleans classic. In some senses, maybe it is. However, for my mouth and money, I won't go there. I'll go to the Parkway Bakery in Mid City. My good buddy Brandon Brown had been telling me about Parkway for years but I hadn't taken the journey over to Bayou St. John to check it out. But then I did. And I ate. And I told my soul that I'd be back. The order at Parkway Bakery is simple: Large Surf and Turf Poboy and a side of sweet potato fries. The New Orleans sandwich features classic French bread, slow cooked roast beef, golden fried shrimp, and Parkway's roast beef gravy. Obviously you don't order a poboy in New Orleans without lettuce, tomato and mayo as well. I haven't ever been told to get anything else at Parkway... though I think more than 10 people have indepently suggested the Surf and Turf. There were only a few variations. Andrew Rose said to get an extra side of the roast beef gravy for dipping. Noted, sir. Matthew Colosino of LunchBoxFab likes to get his Surf and Turf as a shrimp poboy with the gravy on the side. Close enough. I suppose. I went to Parkway, finally, with Jeremy Wells and his family. 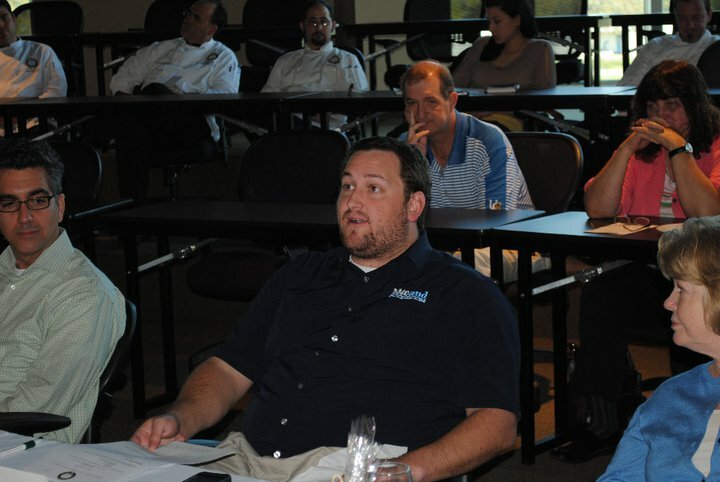 It was after we competed in the New Orleans Food Experiment, yet we still found a way to be hungry. It's a good thing. That sandwich, the Large Surf and Turf Poboy at Parkway Bakery, is what dreams are made of. Beef. Shrimp. Gravy. Sandwich. Simple. Messy. Amazing. I need another. My stomach grumbles at the thought of it. My soul yearns for another bite. I polished off the whole thing. I could have eaten more... and been miserable. The most amazingly awesome miserable imaginable. The crunch of the French bread made with New Orleans water. The textures and flavors of melted beef and fried shrimp smothered in gravy. The lettuce and tomato and mayo to make the sandwich complete. I'll have another. Very soon. And yes, the sweet potato fries were good. Get them. Some of the best I've ever had. Hands down. 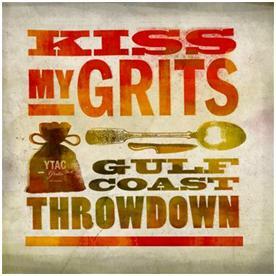 Last Thursday evening I had the extreme pleasure of judging the YTAC (Young Texans Against Cancer) Kiss My Grits Gulf Coast Throwdown in Houston, TX. 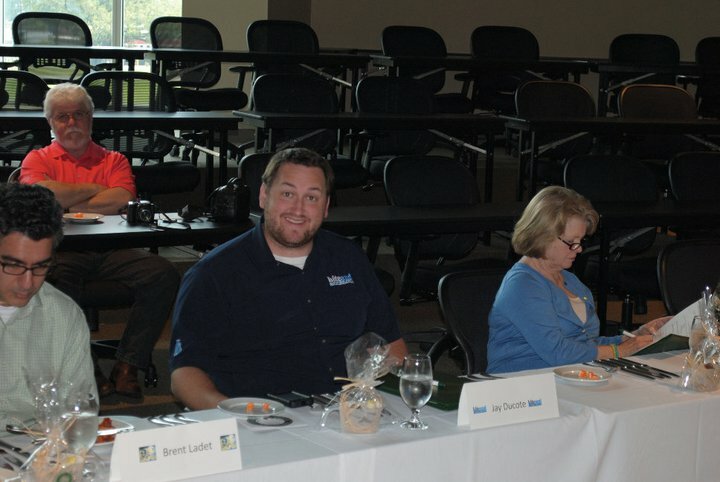 Sara Jackson recruited me to come serve as a judge and represent Louisiana on the grits judging panel. 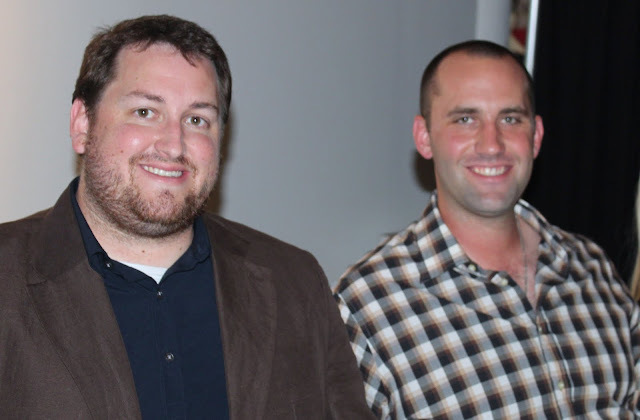 I was joined by Houston Texans's Quarterback Matt Schaub, the Food Editor of the Houston Chronicle, Greg Morago, and Sarah Rufca from Houston's Culture Map. The star-studded panel knew we'd be eating some good food, but nothing could prepare us for the constant flow of gastronomic grits glory that was about to unfold. My mom also came to the event to support the cause and sample a few grits. Some of Houston's best chefs were there to try their hand at grits cooking in order win foodie trips to New Orleans and Dallas. But most of all, the event raised $45,000 to benefit cancer awareness and Houston area cancer centers. Oh, and Saint Arnold brought some local beer, which is always nice! Now, on to the food! Dish number one came from Chef Jeramie Robison of Zimm’s Little Deck and Restaurant Cinq. Chef Robison featured jalapeño grits underneath a seared Gulf grouper filet and a poached quail egg. I loved the southwestern flavor of the grits that also had cilantro in them. The crispy exterior of the grouper added a great contrast to the egg and grits as well. Plus, he served the dish with a smoked lime margarita. Extra points there! The first attempt at Shrimp and Grits came from Chef Chris Shepard of Catalan and Underbelly. The dish featured a pair of cold cocktail style shrimp with a fried ball made out of blue corn grits and pork served over a parsnip puree. The grit and pork ball ended up being rather similar to a Cajun boudin ball. It also had a little sweetness from a syrup in it that worked really well. 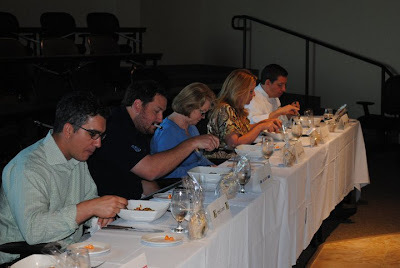 Chef Randy Evans of Haven presented the judges with a duo of Grits Congee. Congee is a porridge traditionally made out of rice in many Asian countries. To step outside the box and use grits to make congee certainly showed a little creativity. Chef Evans had two types of congee for us to try: Louisiana crawfish and Texas pork. Each bowl also included a touch of chili oil as well as an assortment of additions that were served on the side including homemade cracklins! This dish certainly got extra points for being inventive as well as delicious. Another fascinating dish came from Chef Jamie Zelko of Zelko Bistro. Chef Zelko used all sorts of local ingredients to create her seemingly simple yet surprisingly complex dish of sausage, grits, and greens. The sausage had a wonderful flavor and everything on the plate came out very delicious. At the bottom of the leaf bowl there was also an agave nectar that took everything up even another notch on the taste bud chart. The second shrimp and grits plate we were served came from Chef Elouise Adams of Ouisie’s Table. The shrimp were warm and had great flavor after being cooked down in white wine and lemon juice. I also really liked the mushrooms and other flavors in the grits. Everything tasted fine and well prepared, but the other judges and I had a hard time finding the creativity in this dish like we found in some of the others. Speaking of creativity and interesting dishes, Chef Jason Gould of Cyclone Anaya’s and Quench presented us with this masterpiece on a plate. The dish featured a bacon, herb, and cheese fried grit cake stuffed with braised pork served over fresh arugula and julienned apples that had been tossed in a little apple cider vinegar. On the side came a little cold corn mustard to add some extra flavor. The grit cake highlighted the dish while the greens, fruit, and mustard all kept the dish light and refreshing. This was one of my favorites for sure. Chef Mark Holley from Pesce took us for another trip around the world with his gnocchi grits and charcuterie plate. It also featured a bouillabaisse reduction and everything being cooked down in fennel. The gnocchi style grits brought a great texture that certainly made the dish unique. The sausage and greens were salty and delicious. I found that everything on the plate had a consistent salty flavor. While it tasted good, there was nothing else there to balance out the dish. Still, bravo to Chef Holley, because this dish was good! Next up were the Kimchi Grits from Chef Seth Siegel-Gardner of Kata Robata. Served with some sake and Asahi beer from Japan, this dish was already off to a good start. The kimchi flavor in the grits left them tasting a little sweet and tart at the same time. Atop the grits was a pickled lamb wonton and some flowery greens that provided more than just eye appeal. The dish had superb balance and creativity, and tasted phenomenal. Chef Randy Rucker of Bootsie’s Heritage Cafe took the biggest risk of the evening by serving his version of breakfast in a cup. Chef Rucker used instant grits to go along with his scrambled egg mousse, fried honeycomb cow stomach, and maple syrup. The bowl did have excellent, classic breakfast flavors. Unfortunately, I felt like the texture of the instant grits wasn't ideal for this dish, especially when paired with the scrambled egg mousse of the same consistency. The fried tripe, however, tasted amazing! The final dish of the evening came from Chef Jonathan Jones of Beaver’s. The dish, in his words, represented Texas on a plate. His grits were unique in that they were baked in the oven low and slow with mixture of eggs, local sheep's milk feta and all sorts of goodies. The grits ended up acting almost like a cake. Chef JJ baked them until a crust formed on the top to provide some extra texture. In addition to the unique take on grits, the plate also had some Texas-style pork shoulder grillades, mushrooms and pearl onions. The dish as a whole was every bit as interesting as it was delicious. The only complaint I had was that the pork didn't quite end up being as tender as I would have liked. All we had were forks and we we almost needed a knife to cut the grillades. Still, Chef JJ presented an excellent final dish of the contest, and I knew that the judging would be close! A huge thanks to all the chefs who participated, all of YTAC board members and volunteers for putting on such a great and well-attended charity event, and especially to Sara Jackson for inviting me to be one of the judges for such an amazing culinary contest for a cause! 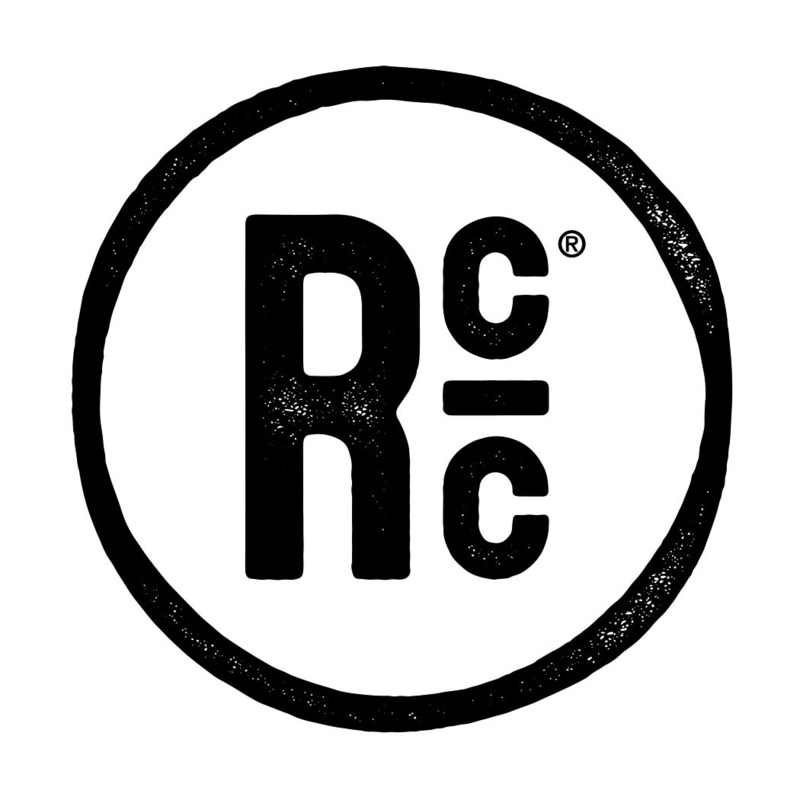 Raising Cane's Lemonade Contest for the Kids! This is cool... and I'm so happy to be a part of it! 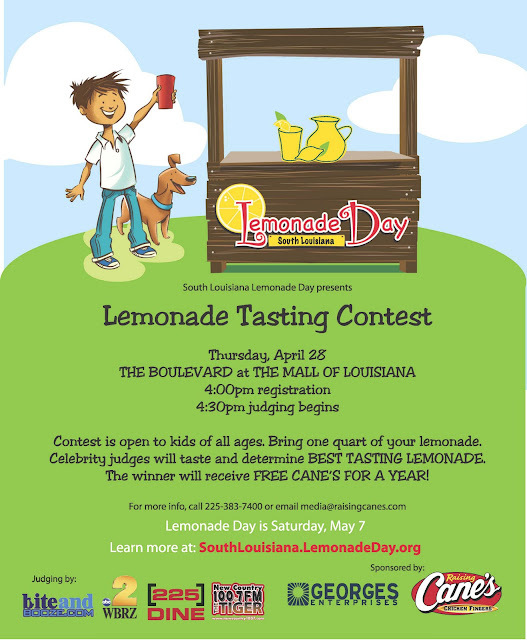 South Louisiana's Lemonade Day, which is coming up on May 7th, is presenting a Lemonade Tasting Contest next Thursday, April 28th. Kids will have a chance to enter their homemade lemonade, and the top prizewinner will get FREE Cane's for a YEAR! Amazing! Best of all... I get to be a judge! So grab a kid, make some lemonade, and come meet me at the Mall of Louisiana! I'll be looking for the perfect balance of fresh-squeezed lemon juice, sweetness, and tartness that makes lemonade the... well, the second most refreshing beverage on a hot summer day! But it's number one for the kids! See you there! Jarvis Green is a Louisiana native, who is a nine-year defensive lineman for Houston Texans. Jarvis won two Super bowl rings while playing with the New England Patriots. 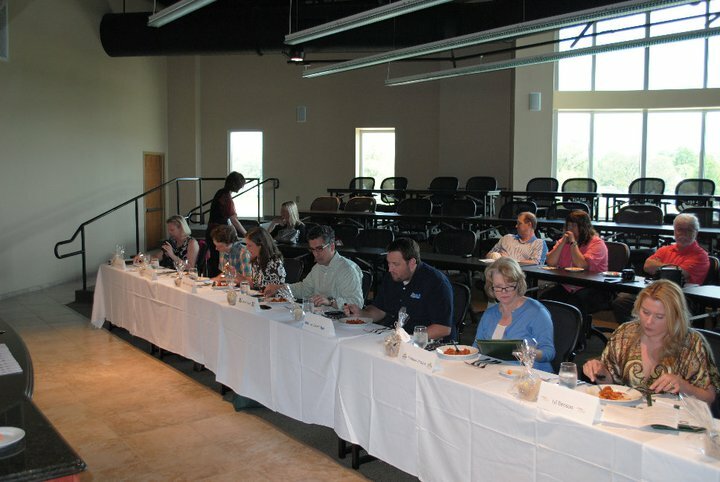 This year Jarvis is planning to celebrate his Annual Wine Tasting Gala on May 27, 2011. The mission of the Jarvis Green Foundation, a non-for-profit 501(c) 3 organization is to provide support to single working mothers in disadvantaged, low-income areas whose lives have been affected by tragedy. This cause is especially close to Green's heart because he has seen firsthand the struggles they face. 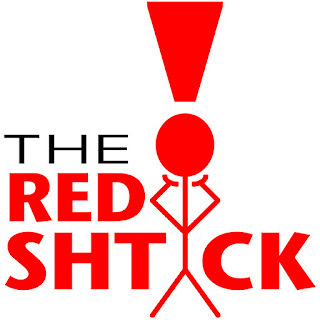 To that end, he dedicates time, energy and financial resources to assisting single mothers in need. As the New Year starts, he is asking your assistance in supporting the cause; proceeds will benefit single working mothers. Jarvis's foundation selected its first recipient years ago, Michelle Jefferson, a New Orleans native who lost everything in the flooding caused by Hurricane Katrina. Michelle was flown to New York for an appearance on the Montel Williams Show and surprised with much-needed financial assistance among other gifts. On ESPN Jim Rome, Jarvis surprised Michelle at the house he helped her purchase after the natural disaster. Hope to see you there!! Geaux Jarvis, Geaux Tigers! As I so eloquently quipped back in 2002 or 2003, "Si, me gusta cerveza." Roughly translated, this Spanish phrase means "Yes, I like beer." Those words hold true today. I know that you, the loyal Bite and Booze readers, are highly surprised by this. I don't mean to alarm you. My apologies. But, I do like beer. In fact, over the past weekend, I managed to make my way to Lafayette with Jeremy, Eric, and Mandy for the Top of the Hops Beer Festival at the Cajun Dome. With a couple tickets secured by King Cake Baby courtesy of Rouse's Supermarket, and a few more from sweet-talking the ticket folks (we were supposed to have 4 all along! ), we were in. Beer drinking commenced. Life was good. Top of the Hops in Lafayette had over 160 different beers to choose from. While they weren't all new to me, I was pleasantly surprised at the variety, selection, and rareness of some of the brews. Louisiana's own beer also poured from the taps of Parish, Bayou Teche, NOLA, Heiner Brau/Covington and Abita. The highlight of the afternoon for me came from Andrew Godley and the Parish Brewing Company. His Black IPA blew me away, but even better was his amber beer that he ran through extra hops before pouring. Andrew, an engineer by trade, created a homemade system with which he used CO2 to force the beer through extra hops after leaving the keg and before entering your glass. Those fresh hops left a taste with the Parish Amber that flowed through them and settled on my palate like cold iced tea on a hot Louisiana summer day. Beer Heaven, I found you. Si, me gusta cerveza. Jolie's Bistro in Lafayette reminds me of what the true dining experience should be. 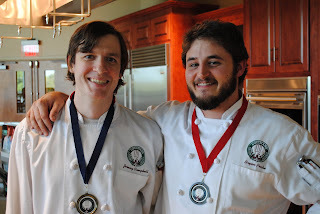 Chef Manny Augello and bartender Luke Tullos like to keep things "fresh, local, and seasonal." The menu at Jolie's names several Louisiana farms where local products are sourced. Chef Manny offers a Louisiana Artisan Cheese Assortment and a Charcuterie de Maison that highlight local goat cheese from Belle Ecorce Farm in St. Martinville, LA and house made patés, terrines, cured meats, pickles and condiments. But those items barely get the menu started. Each day there are various bar snacks that are modestly priced at $3, $5, and $7 each. The bar snacks are always creative expressions from the chef based on the fresh, local, and seasonal theme. I have been to Jolie's twice in the past month. Geoff Daily of Lafayette's Fiber Corps introduced me to Jolie's in March, and I returned with Jeremy, Eric, and Mandy over the weekend. Each time I left having to loosen to my belt as well as say thanks to everyone at the restaurant. 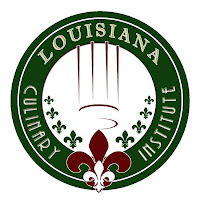 The staff is friendly with impeccable service, the cocktails from Luke are unique, playful twists on classics or inventive inspirations of Acadiana, and the food out of the kitchen... well, it is what similar restaurants should aspire to serve. I'll give you a taste of the menu from my two trips, but to really get the experience, you'll just have to go! Bottom Left: Luke's digestif: Grapefruitcello - amazingly smooth, fruity, and deceptively strong! Now I'm hungry again! When you go, make sure to ask about the bar snacks are as well as what sort of specials Chef Manny might have. Feel free to talk to Luke about some signature cocktails. 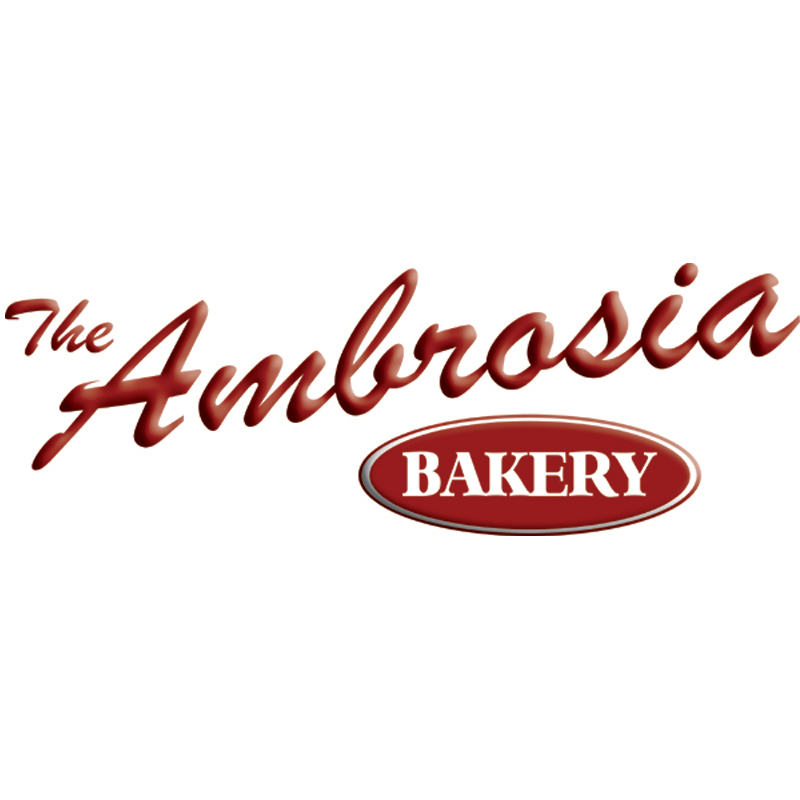 Finally, have fun, enjoy exploring the many items on the menu both new and old, and take some risks... your stomach will thank you... okay, maybe not your stomach, but your taste buds sure will! 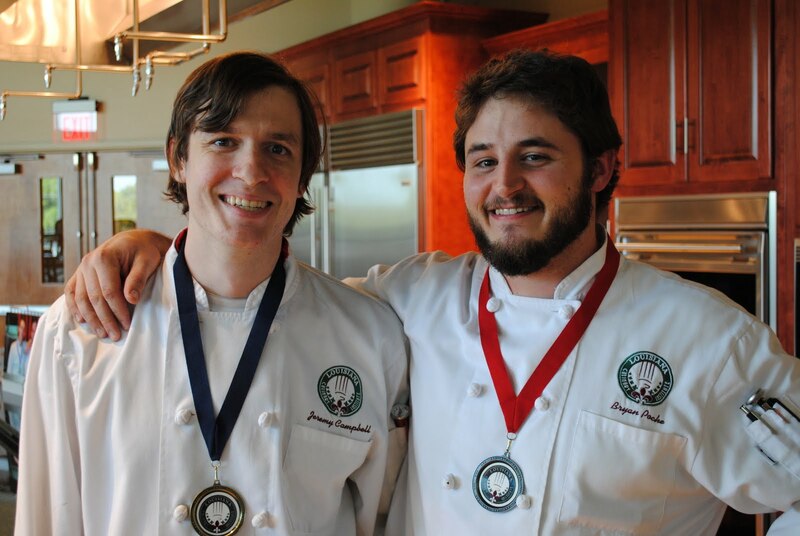 Jeremy Campbell (left) and Bryan Poche went head to head in the finals of the Louisiana Culinary Institute's Race to Cannes cooking competition. When I judged Round 2, groups 3 and 4 earlier in the competition, I actually helped score both Jeremy and Bryan to victory. Seeing both of them in the final got my mouth watering before I even knew what was on the menu! The chefs knew they would be working with the three main ingredients of Louisiana Pompano, Jerusalem Artichokes, and Fresh Fennel. 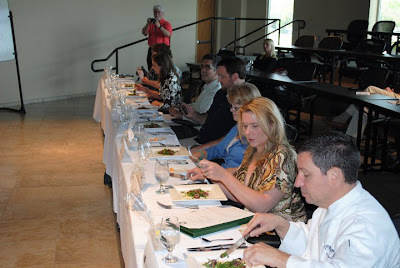 However, just before the start of the competition, both chefs were given the mystery ingredients of Smoked Mussels, Raw Pecans, Crab Butter (crab roe), and Assorted Fresh and Dried Chilies. Both chefs were tasked with incorporating all of the ingredients into either their appetizer or entrée as a full ingredient, not just a garnish. I love the added level of difficulty for the finals! Bryan Poche's "Creole Stewed Octopus and Fried Grits"
Bryan presented what he called a "unique play on the ever popular shrimp and grits." He was certainly right about that! 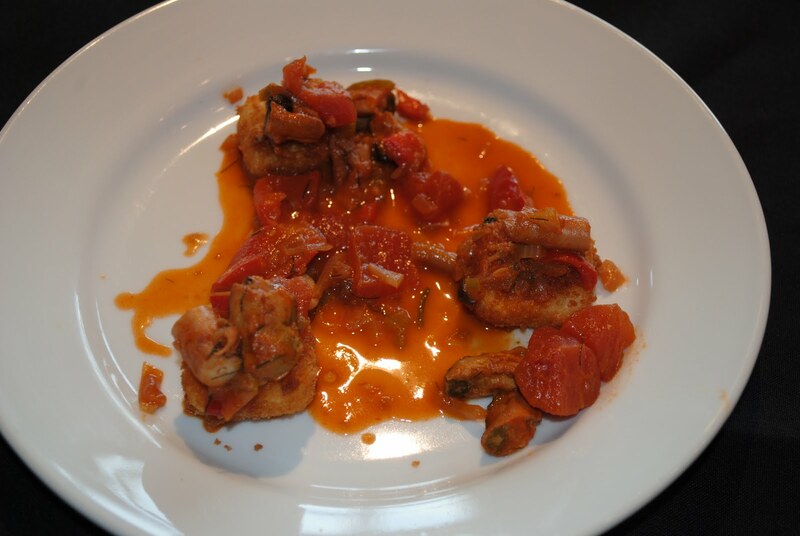 The dish featured some morsels of octopus that had been slow-cooked in a bath of tomatoes, chilies, and more. To add a little something extra to the grits, he molded them and then coated the grits with a batter before frying them to crunchy golden exterior. I love the extremely creative play on a popular dish, as well as the balls he had to use octopus in his dish. Everything tasted great, and I think the chilies he had to use as a mystery ingredient added a nice touch. The one critique that I made was that the dish looked like a bit of a monochromatic mess on the plate. I would have liked too see a few different colors or even a green garnish to balance out all the red and orange. Jeremy's appetizer consisted of a salad. However, this was no ordinary salad. 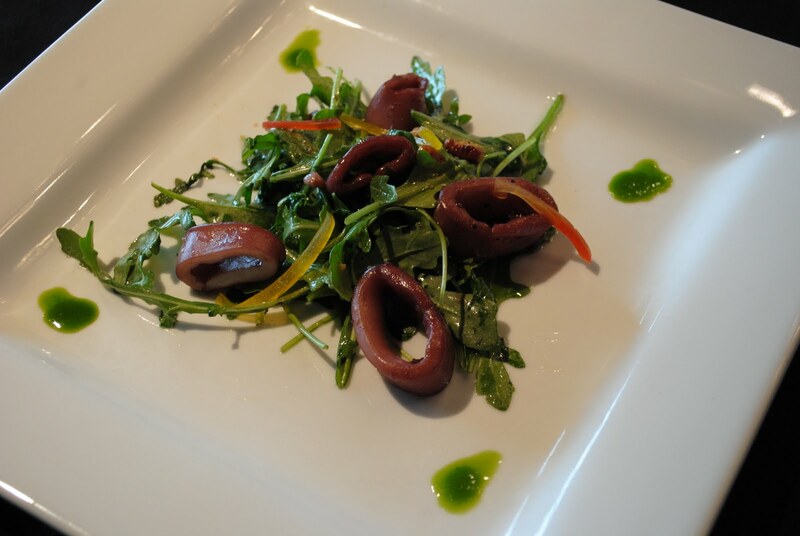 Rather than fry his squid like so many others, he braised it in red wine and served it over warm Arugula tossed with lemon and black pepper vinaigrette. He also added some pecans in order to use a mystery ingredient and provide a little extra crunch. Each bite of the salad left me thoroughly impressed. The fact that the Arugula was served warm and slightly wilted added to the unique factor. Still, the highlight of the dish easily came from the beautifully cooked squid with that gorgeous purple color after it had been braised in red wine. Compliments to the chef, for sure! Jay Ducote readies himself for the main courses. My highest rated dish came from the plate of food that I would have most likely ordered again... or tried to cook for myself. Bryan described his inspiration as taking two things he loved and putting one inside the other. And why not put a crab cake inside a piece of fried fish?? 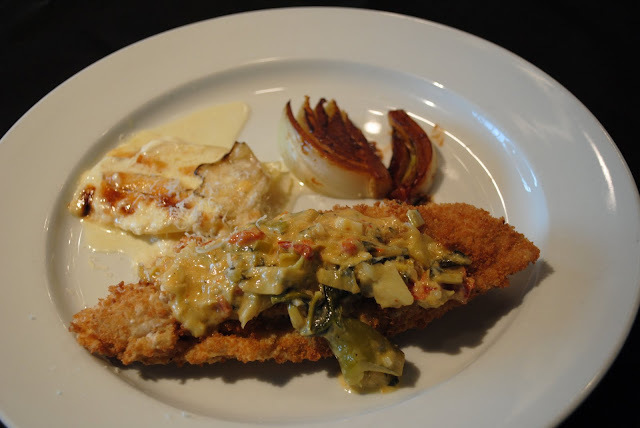 He topped the expertly fried Pompano, which isn't usually a frying fish due to its oily nature, with a mixture of artichoke, sun-dried tomatoes, spinach, and pepper jack cheese. The colors in the entree worked far better than they did in his appetizer. However, the sunchoke gratin left a little to be desired. It tasted slightly undercooked and a little bland, but still managed to be pretty good. To wrap up the plate, the braised fennel that Bryan served had to have been the best fennel I've ever had. The texture, color, and taste were all spot-on. The dish as a whole really impressed both my eyes and taste buds! Our final dish came from Jeremy and it packed some heat. 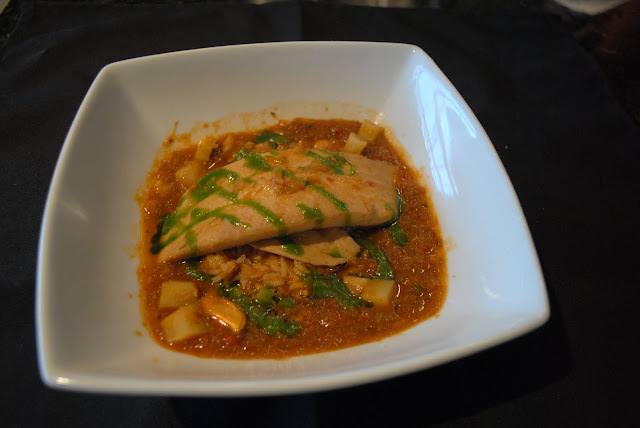 He plated a pompano bouillabaisse which featured fresh pompano simmered in white wine, sherry and tomatoes served over Louisiana popcorn rice. The broth also included some chilies and smoked mussels from the mystery ingredients that added a really unique flavoring to the bouillabaisse. Adding even more complexity to the stock, Jeremy added some brown sugar to round out the smokiness and heat. Everything tasted spectacularly rich and it became difficult to put the fork down. I would have liked to see some contrasting texture, but other than that, this dish proved to be a serious winner. In fact, it did carry Jeremy on to the victory. Scores as whole were extremely close, but Jeremy pulled out the win, and with it a trip to be part of the culinary team at the Cannes Film Festival in France. I'd like to congratulate both Jeremy and Bryan on a job well done. The Race to Cannes is a fantastic culinary competition and I can see plenty growth in its future. 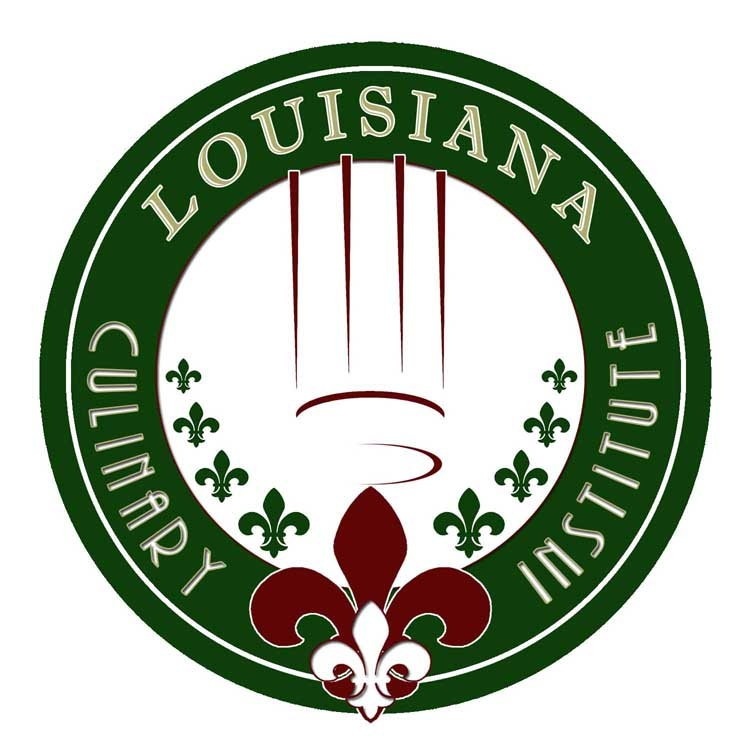 To learn more about everything going on at the Louisiana Culinary Institute, check out their website at www.louisianaculinary.com!